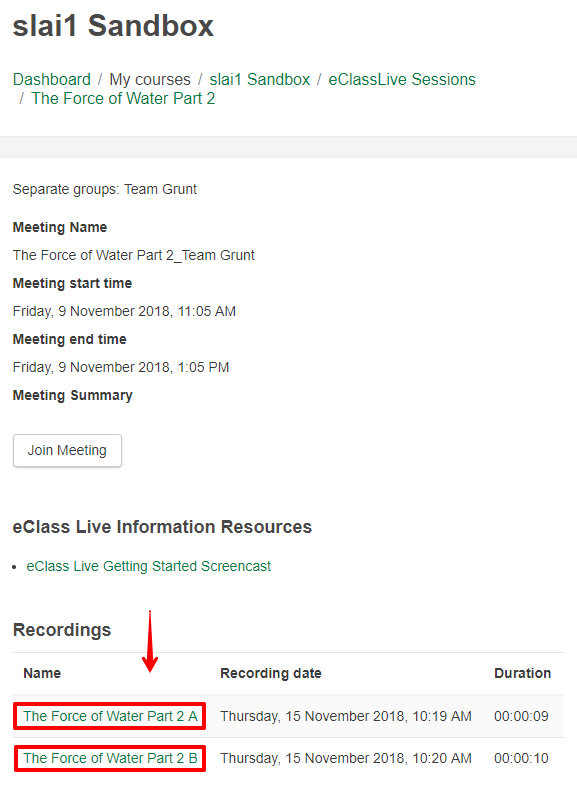 Recorded eClassLive sessions can be viewed on eClass inside of the course containing the session. From within the course, select the eClassLive activity which you would like to view recordings from. Recorded sessions can be found at the bottom of the page under Recordings and viewed by selecting their name in the Name column. If the same meeting room is used for multiple sessions throughout the term, there will be a list of recordings ordered by date.